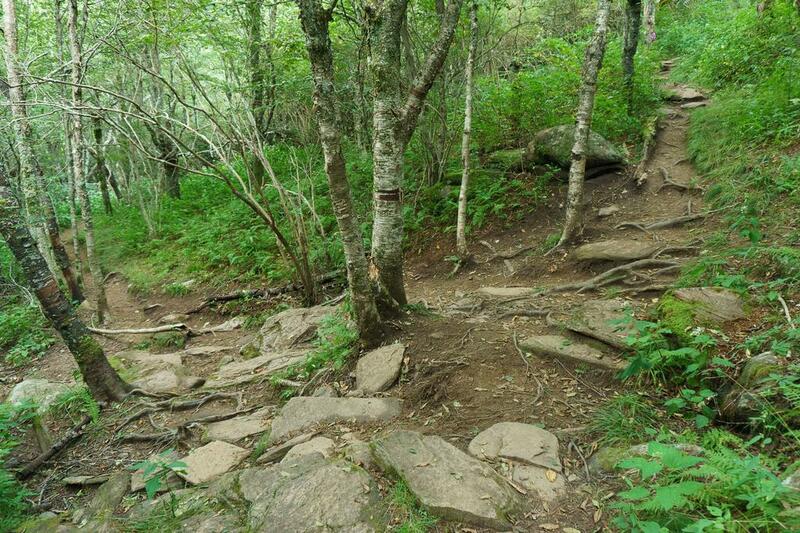 This rocky switchback is on the flank of Sam Knob. Though the trail originally came all the way up to a point on the rocks in the foreground, shortcutters have created a new, eroding path through the middle of the switchback. Don't cut switchbacks!